Trials come and go, but in every trial, let’s not forget to seek God. How are the first few days of the year treating you? I hope they’ve been well. Anyway, I wasn’t quite certain how this “tagging” thing worked as this is my first time. A quick WordPress search has somehow shed a light, though. And from there, I read that The Guy Who Always Said No started this tagging craze. I’m glad Maggie took the time to tag me then. 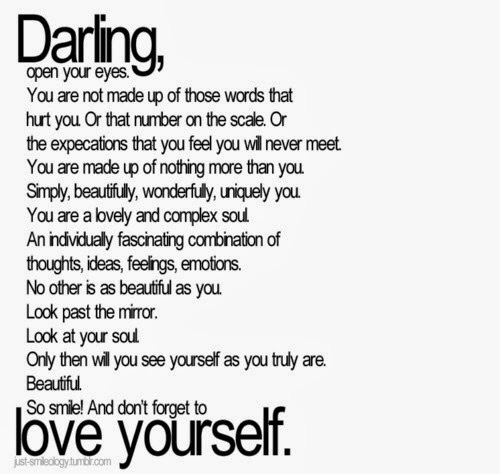 Look at yourself and appreciate your beauty. Appreciate your strengths and perseverance. Look at yourself, not in the light of other people’s opinions and issues, but in the light of your acceptance and courage. What people say about you or think about you is not your problem. It is there problem. Continue living your life in a way that pleases you and eventually you’ll realize that what people perceive of you no longer matters. Being different can be such a blessing. Learn to embrace it. Learn to embrace yourself.